Isis will reunite as "Celestial" this fall for a show benefitting the family of departed Cave In member, Caleb Scofield, who passed away in March. 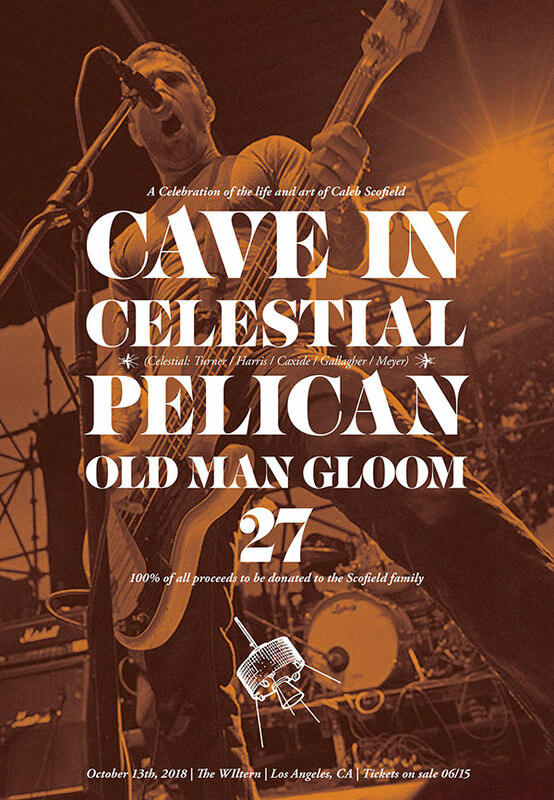 The show will take place on Saturday, October 13 at the Wiltern in Los Angeles, CA and will also feature Cave In, Pelican, Old Man Gloom, and 27. Tickets go on sale on Thursday. "Caleb was a touring partner and bandmate to the individual and collective personnel of ISIS; he was also a dear friend, roommate and collaborator. We are profoundly saddened that Caleb is gone. His place in our lives and hearts is indelible. Caleb's loss is unquestioningly felt most deeply by the family he leaves behind: his wife Jen and children Desmond and Sydney. "As a group we are moved to try to do something to help them, and to commemorate Caleb's life, to celebrate what he meant to us. Sadly, we were unable to participate in the Boston Scofield family benefit show on June 13. However, we will be performing at the Los Angeles event on Oct. 13, along with Caleb's friends in Cave In, Old Man Gloom, 27 and Pelican. "On this occasion, we are choosing to perform under the name Celestial. This event is a one-off performance to benefit Caleb's family in their time of need and to pay tribute to a person we loved and lost. We are glad to be able to do our small part in the face of this tragedy and are looking forward to coming together to celebrate the beautiful and all too brief life of Caleb Scofield. Thank you."